Dr. Jake Richards went to dental school at Dalhousie University and completed undergraduate studies at Weber State University. He graduated in 2009 and takes CE (continuing education) courses on a regular basis to stay up to date with the latest developments in the dental field. Dr. Richards has many goals as a dentist. He hopes to provide his patients with quality care and quality experiences where their needs are met and their goals are achieved. He also wishes to provide a comfortable and friendly atmosphere for his patients and staff members. Dr. Richards aims to have good communication with his staff and patients, and, most importantly, inform and educate patients so they can make informed choices that are most beneficial for their oral health. He also aims to provide a dental home that his patients appreciate and one that creates a desire to share with their friends and family. 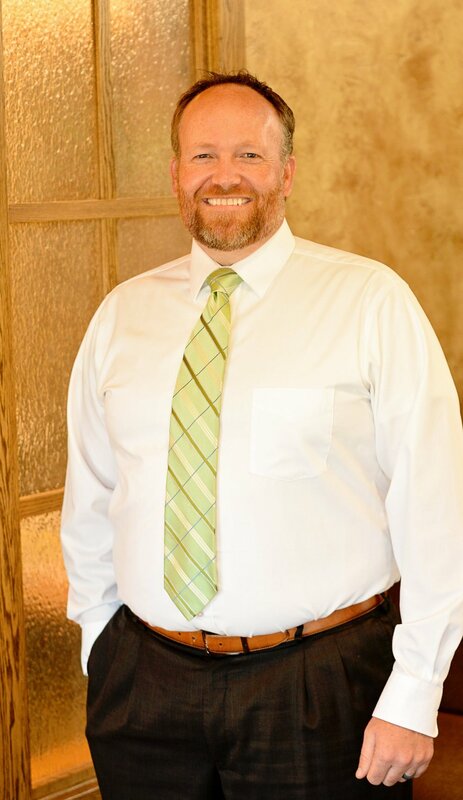 Dr Richards is a member of the American Dental Association (ADA), Kansas Dental Association, (KDA), Idaho Dental Association (IDA), and Southern Eastern Idaho Dental Society (SEIDS).He is also Six Month Smiles® certified and has completed MDI mini dental implant training and implant courses. Dr. Richards has been married for 13 years to his wife, Amber, and has four daughters: Emmy, Kambell, Evie, and Berkley. He loves to go fishing, hunting, skiing, golfing, camping, and four wheeling. He also loves to watch his girls’ events and dances, participate in any other outdoor activities with his girls, and complete honey-do’s. Dr. Richards grew up on a farm in Fielding, Utah, where he was taught by his parents to work hard, be honest, be respectful, and always do what he knows to be right. He also served a two-year mission for his church to Baltimore, Maryland, where he learned a lot about life and how to appreciate the things he had. He also developed an understanding of the value of service. Dr Richards began his practice in Hays, Kansas, prior to coming to Pocatello, Idaho, in July 2013. Dr. Richards is happy to be so close to home and appreciates the great people of SEI for welcoming him and his family. He loves being in this city, and he and his wife look forward to raising their family in this community. He believes he has a wonderful staff and great office environment and hopes you will come in and see him soon!